My last visit to Bangalore Government Museum must have been in 90s, when I was in school. I had almost forgotten how beautiful that building was. I was happy to be there. 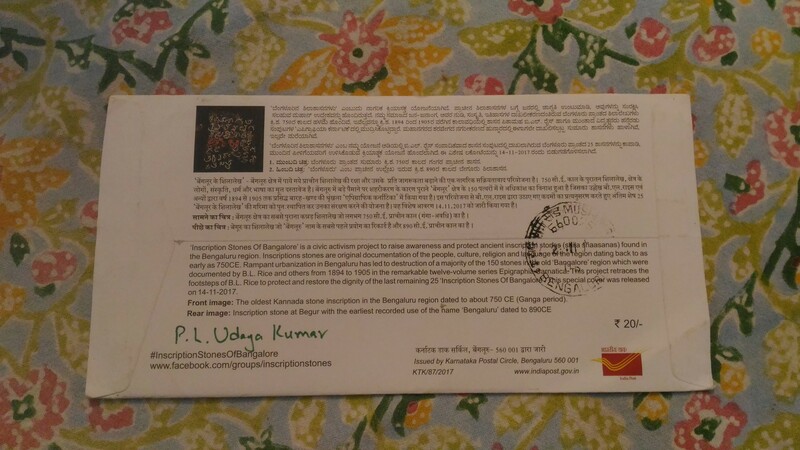 The reason for my recent visit was an exhibition about Inscription Stones of Bangalore. 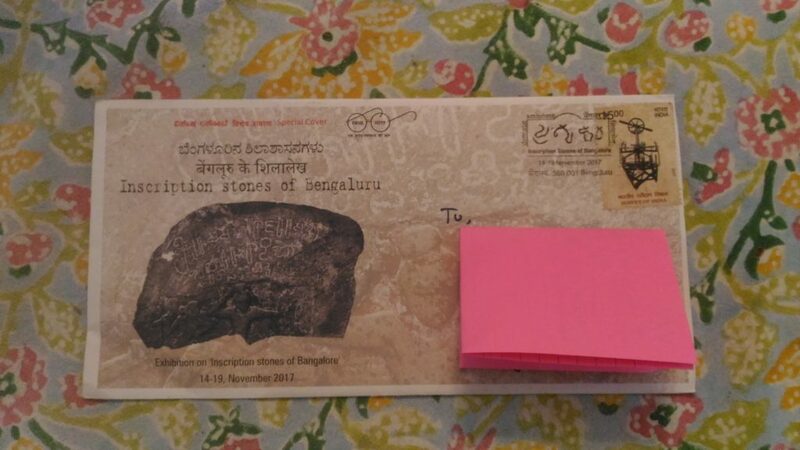 #InscriptionStonesofBangalore is a civic project to raise awareness about the last 25 remaining Inscription Stones of Bangalore out of 150 stones documented by B.L Rice and others between 1894 to 1905. It was great fun to see and hear Udaya Kumar P L talk about each saved inscription with great detail and stories how they were found. They also collaborated with India post to release a special cover. On the front it has oldest Kannada inscription and on the back has beguru inscription. I have a copy, thanks to Uday. Back: Inscription stone at Beguru with the earliest recorded use of the name ‘Bengaluru’ dated to 890CE. 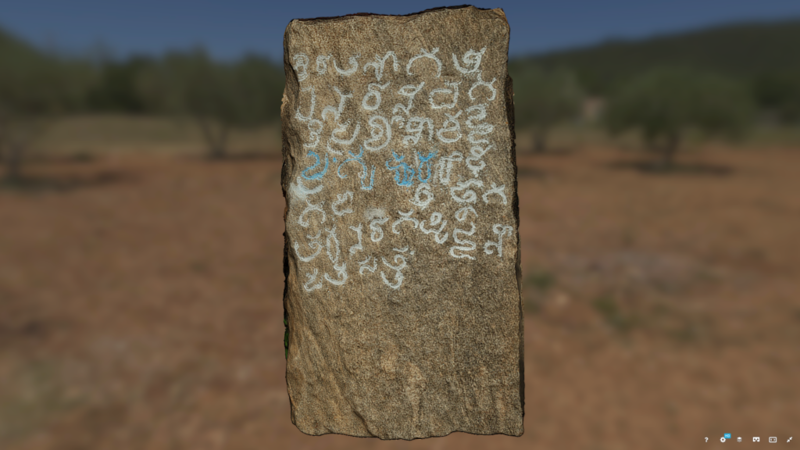 Team ReArk has scanned some of the Inscriptions and has uploaded to sketchfab. You can see and explore them there. As of now you can’t download the models. Hope they will open up the models under creative commons license. The team has mapped (including 25 remaining) inscriptions. 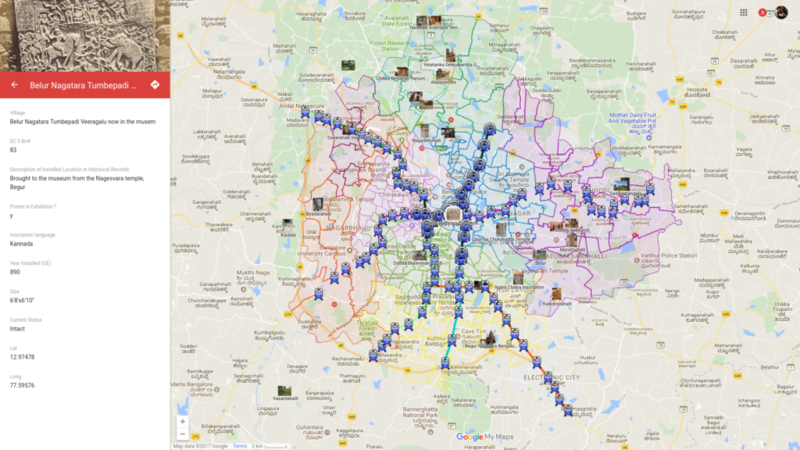 They also have metro stations and routes marked if you want to visit them. I have been to only one and planning to visit the rest in 2018. It’s a KML on google maps, may be I will take sometime this weekend to add it to OSM. Either way you can download and use the KML with credit to the team. Just go through your article. Very nice information and lovely photograph you shared. 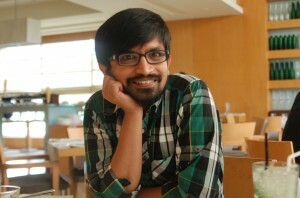 For sharing this informative article about Bangalore..!! Nice information about Inscription Stones..! !